Elizabeth Darling, president and chief executive of the OneStar Foundation, has been nominated by President Donald Trump to be commissioner of the Administration on Children, Youth and Families (ACYF) within the U.S. Department of Health and Human Services (HHS). It is a U.S. Senate-confirmed position and the time period between nomination and confirmation could be weeks or months. Darling said that she’ll remain at OneStar in Austin, Texas during the process. Her hearing will be before the Senate Finance Committee and she’ll be making trips from Texas to the Capitol in preparation for the hearing, she said. If confirmed, Darling would be returning to Washington, D.C. She was chief operating officer of the Corporation for National and Community Service (CNCS) from July 2005 through March 2009 where she provided oversight and management of all CNCS’ national programs, including AmeriCorps, Senior Corps and Learn and Serve America. She was also responsible for the offices of Grants Policy and Operations, Leadership Development and Training and Emergency Management. It would also be a return to ACYF. Darling was founding director of the Center for Faith-Based and Community Initiatives at the HHS in 2001. She coordinated the department’s efforts to identify and remove barriers to the participation of faith-based/community groups in accessing federal funds. She was later appointed Advisor on Presidential Initiatives to the Commissioner for ACYF. She worked across the four bureaus within ACYF — Head Start, Children’s Bureau, Child Care, and Family and Youth Services — where she promoted numerous initiatives, including the president’s early childhood literacy program Good Start, Grow Smart, as well as intergenerational programs and positive youth development. “I consider my 13 years with national service and my five years as the chair of the Camp Fire national board of trustees as positive youth development,” said Darling. “I have served on state and local boards related to child welfare and have a passion for kids aging out of foster care, having adopted one at age 16 in 1984,” she said. She joined the OneStar Foundation in 2009 and has been a pivotal leader in recovery efforts in Texas after Hurricane Harvey via a partnership between the OneStar Foundation and the Michael and Susan Dell Foundation called The Rebuild Texas Fund. Darling was included in The NonProfit Times’ annual Power & Influence Top 50 for 2014, 2015 and 2016. She chairs the Interagency Coordinating Group (ICG) in Texas formed under HB 1965 (R82) comprised of 25 state agencies. She is a member of the Texas Association of Business and is chair of the national board of trustees for Camp Fire. 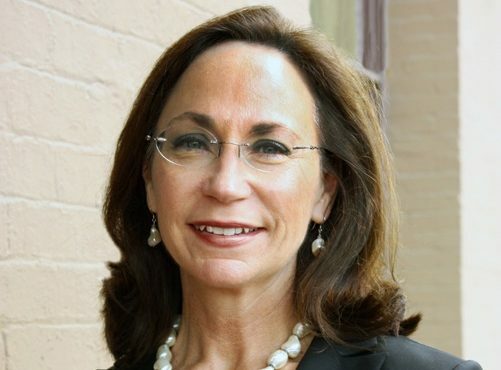 A graduate of Baylor University with a Bachelor of Science in English/Education, she holds a certificate in Nonprofit Leadership and Management; was credentialed as a Certified Association Executive (CAE) in June 2014 and received the designation of Certified Fund Raising Executive (CFRE) in March 2015.